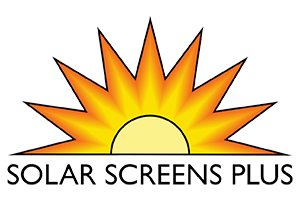 Sound Proof Windows | Solar Screens Plus Inc. Advantages of using Magnetite Windows for your home or commercial property. Magnetite Insulating Windows are designed to provide superior insulating abilities without the high costs associated with replacement windows. These insulating marvels are a unique approach to insulated windows. 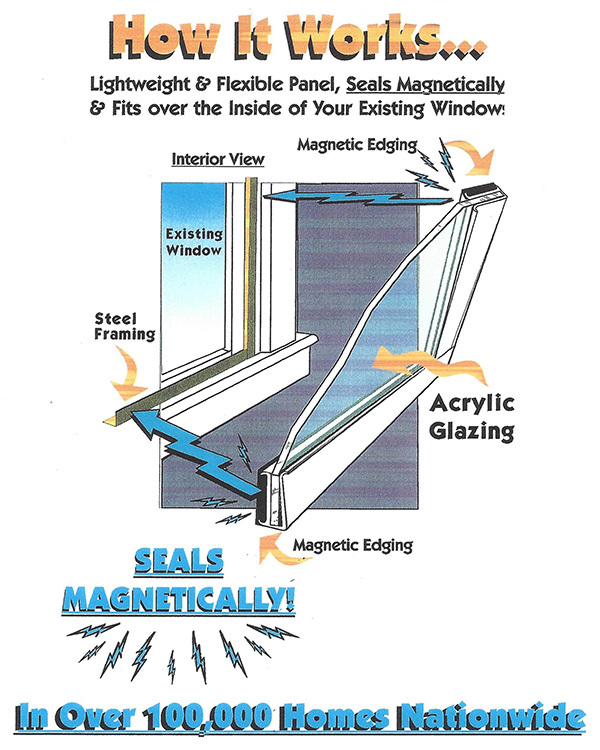 Magnetite Magnetic Insulating Windows are installed on the interior of your existing windows. There is NO MESSY CONSTRUCTION and they cost up to 75% LESS THAN REPLACEMENT WINDOWS! Sound Control: Our Magnetite retrofit double glazing can reduce noise by 70% through your existing window. Sound Transmission Class (STC rating) is used to measure the amount of noise that will pass through a partition. The STC Rating improves from 26 (Single glass pane) to 41 when Magnetite is added. The rating improves from 29 (Dual glass pane) to 48 when Magnetite is added. The effective sound transmission reduction is over 70%. Particularly effective in 1000 Hz range. As determined by Riverbank Acoustical Laboratories, Illinois, in tests performed. 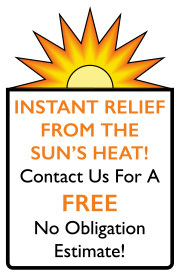 UV control: Ultraviolet light waves between 300 and 355 reduced by 99.1% when passing through acrylic sheet. UV light waves between 360 and 375 reduced by 66.2%. As determined by DSET Laboratories, Inc., Phoenix, in tests performed. Air Infiltration: Virtually all air infiltration is eliminated. A Magnetite window air infiltration is rated at less than .01 cfm/lineal foot crack space, compared to DOE standard for storm windows of 2.0. Tested with 25 mph wind equivalent at The Associated Laboratories , Dallas, using ASTM E-283 test method. Similar results at the John M. Yellott Laboratories. Thermal Insulation: The addition of our Magnetite Optical Grade Acrylic Windows can provide up to 115% better thermal resistance than a window with a single pane of glass. Glass—5 to 6 btu/hr/sq ft/°F, according to CRC Handbook of ChemistryAcrylic—0.7 to 1.7 btu/hr/sq ft/°F,according to Handbook of Plastics (indicates that acrylic is up to 8 times more thermally insulating than glass) U-value of .48 in combination with single pane window, as determined by John M. Yellott Laboratories, Arizona, in tests performed. Heat loss reduction of 412.5 btu/hr/ft sq (from 687.0 to 274.5) when applied to single pane window. As determined by Architectural Testing Inc., York, PA, in tests performed. Shatter Resistance: Our Magnetite Optical Grade Acrylic Windows are 17 times stronger than a single pane of glass. Which means that they are virtually shatterproof.